This is a game about a bridesmaid. The objective is to reach the exit. Along the way, you must avoid the Daughters as they kill you. I use some sound effects from FreeSound, like the sound of wedding. People feel bored by bridesmaids sometimes, so I chose a aggressive piece of music from www.incompetech.com for the game. Let me know what you think. 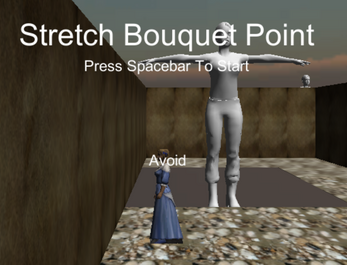 Stretch Bouquet Point is a game designed by ANGELINA, an artificially intelligent piece of software designed by me, Michael Cook, an AI and Computational Creativity researcher. 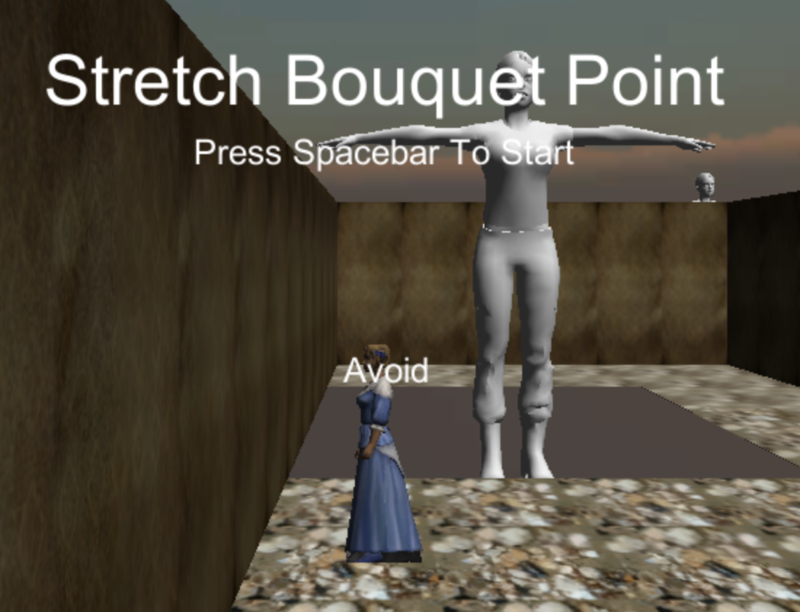 Stretch Bouquet Point was ANGELINA's control entry into Ludum Dare 28 - "You Only Get One" - meaning we didn't tell people it was made by ANGELINA to try and see if people treated the entry differently. You can read the paper I wrote about the process here, and you can still see the Ludum Dare page, with rankings and comments, here. You can also play the main entry, To That Sect, on itch here. The interpretation ANGELINA latches onto here is marriage - the model of a woman is a bridesmaid, and the audio playing is from a marriage ceremony blessing (I think - it's been a few years since I tracked the origins down).